Fashion photographer Haruki Horikawa captures Linda Farrow lookbook featuring looks by 10 designers Dries Van Noten, Erdem, Prabal Gurung, Jeremy Scott, KTZ, Kris Van Assche, Walter Van Beirendonck, Oscar de la Renta, 3.1 Phillip Lim and Raf Simons to celebrate 10 year of collaborations. Stars of Linda Farrow 10 Year Anniversary sessions are Anzhelina Zasadska at IMG London and Alexander Beck at SUPA model management. 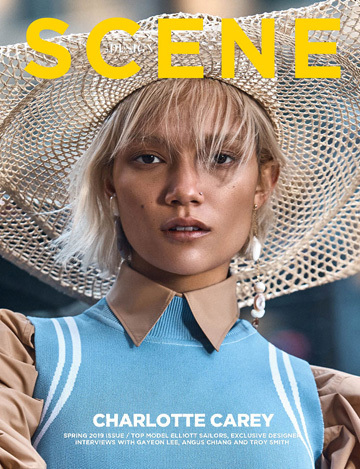 Styling is courtesy of Jason Leung, with hair by Anna Chapman at Trevor Sorbie, makeup by Emma Miles at Emma Davies Agency, and manicure by Ami Streets at LMC World Wide.